On December 4, 1956, four young musicians -Elvis Presley, Johnny Cash, Jerry Lee Lewis, and Carl Perkins -gathered at Sun Records in Memphis for what would be one of the greatest rock ‘n’ roll jam sessions ever. 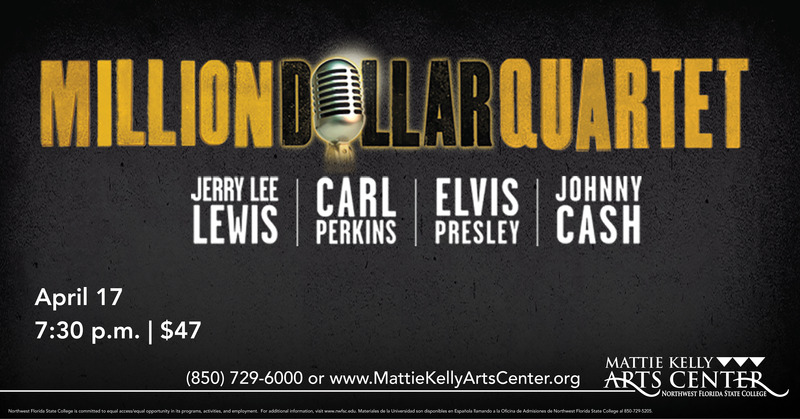 The Tony® Award-winning smash-hit musical Million Dollar Quartet brings that unbelievable musical moment to life, featuring timeless and enduring hits. Don’t miss your chance to experience this red-hot moment in rock ‘n’ roll history!